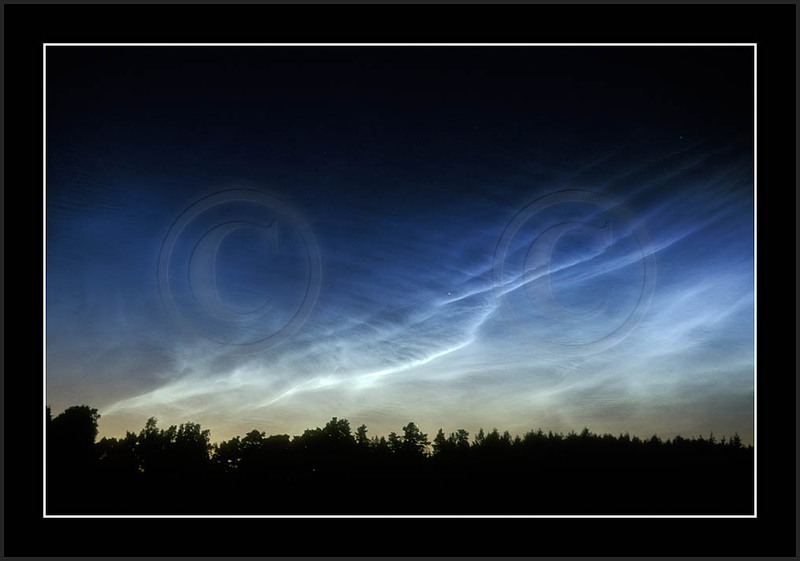 NLC can be seen between latitudes 55-65N (and likewise S) during summer months, mainly however, in July and early August. 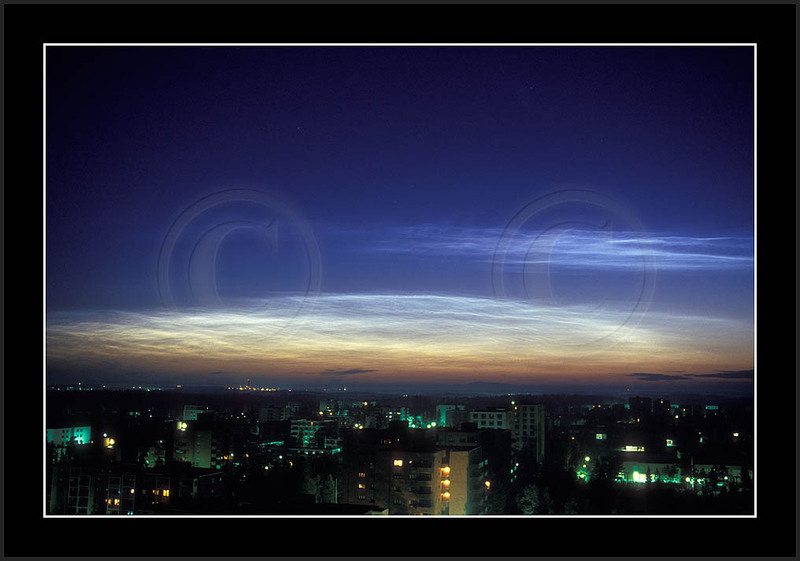 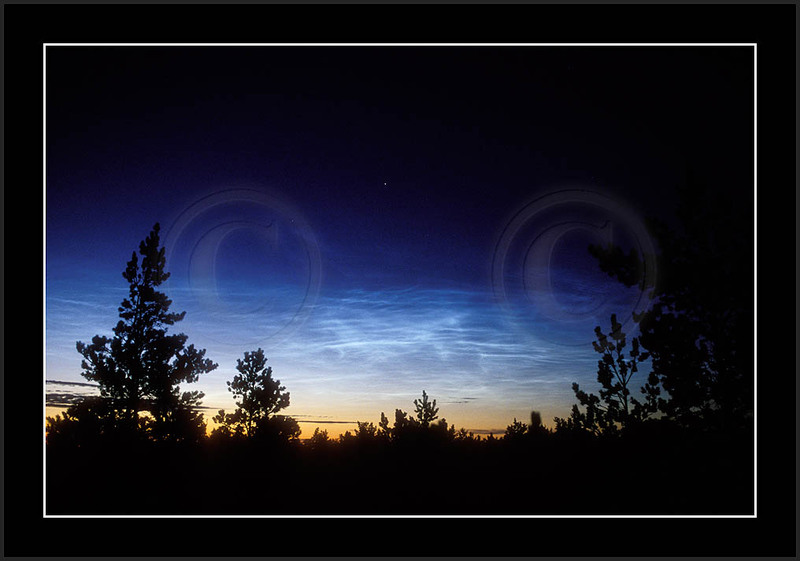 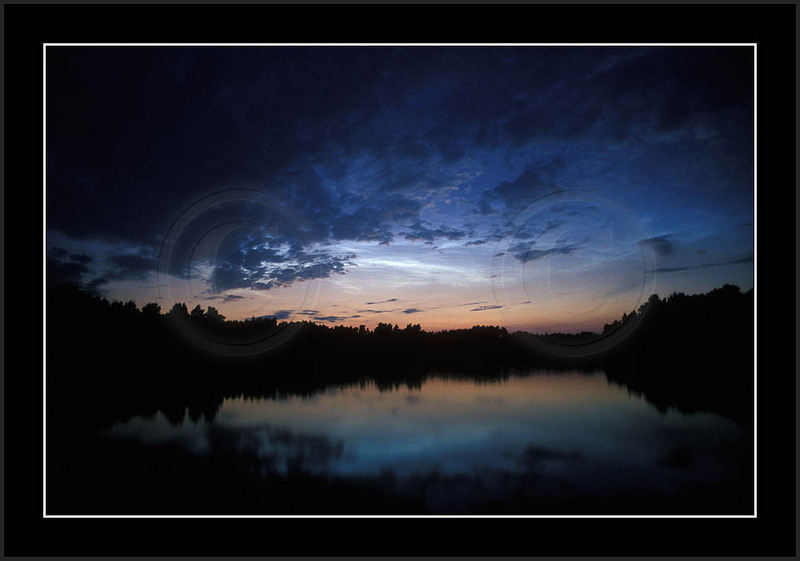 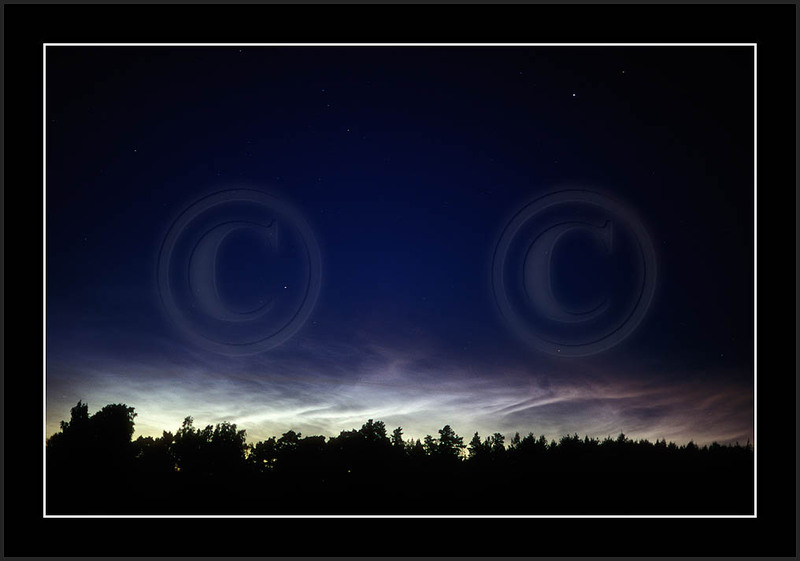 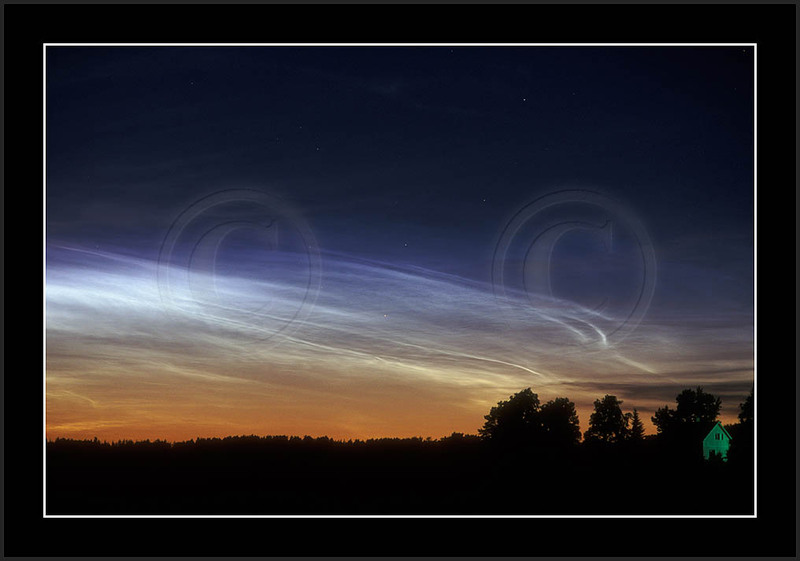 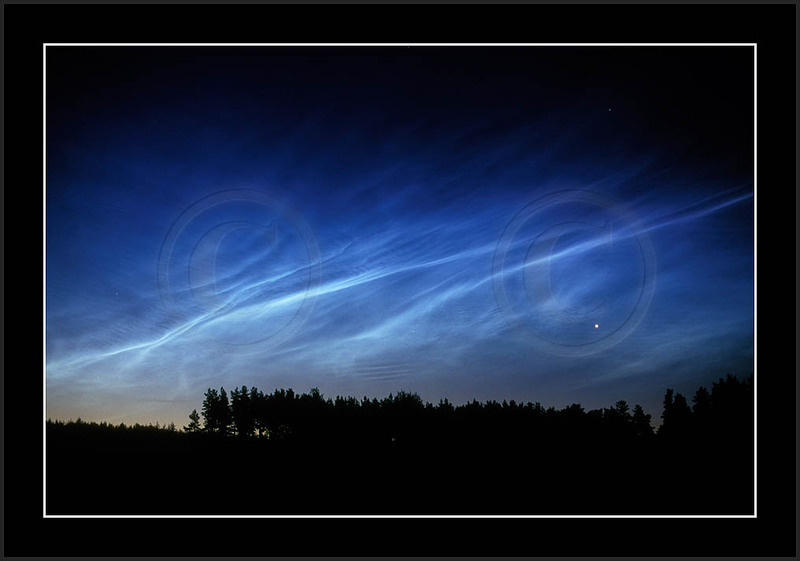 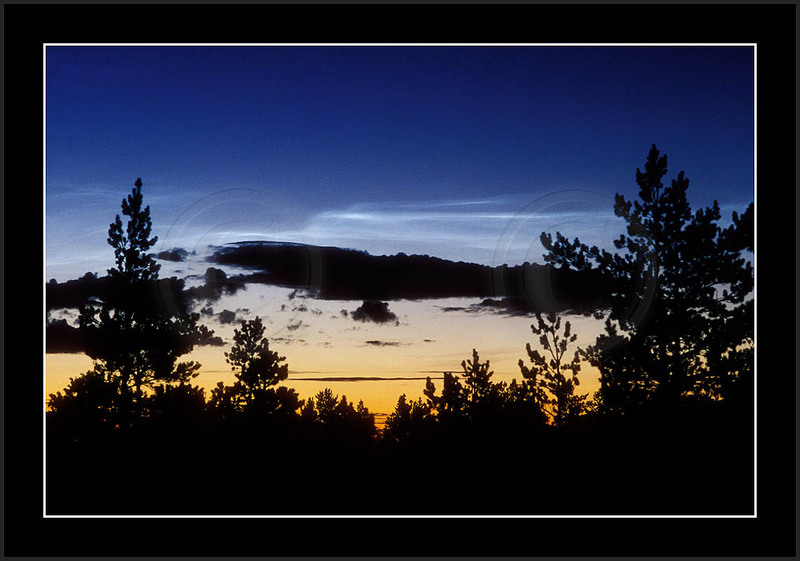 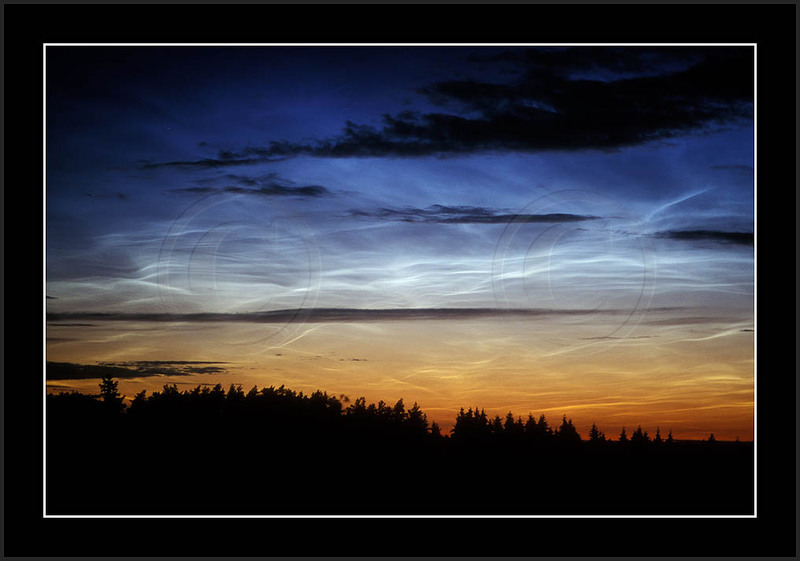 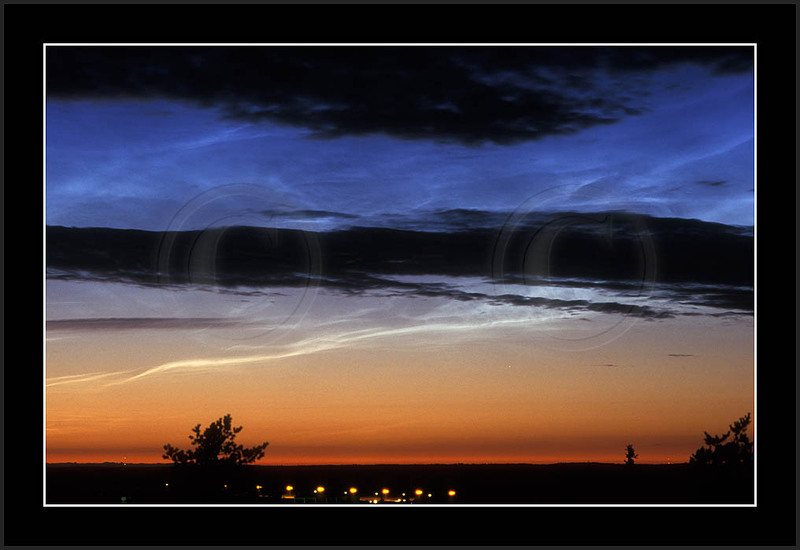 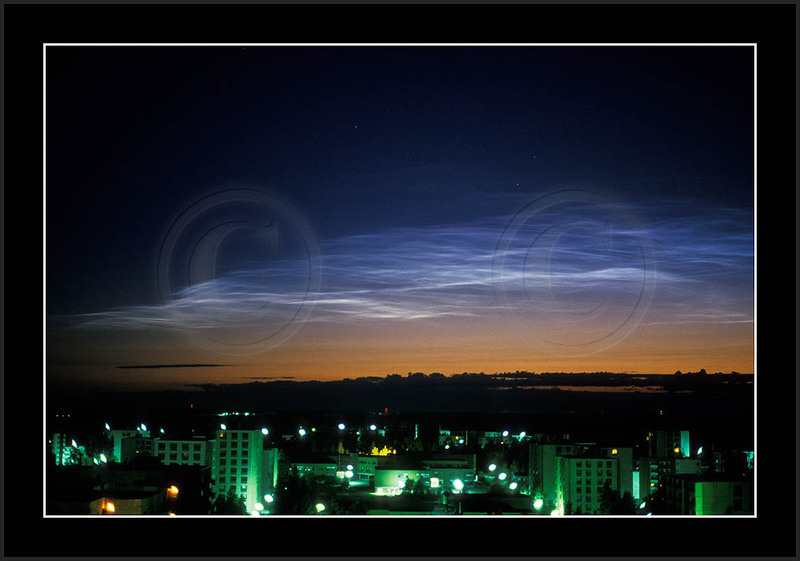 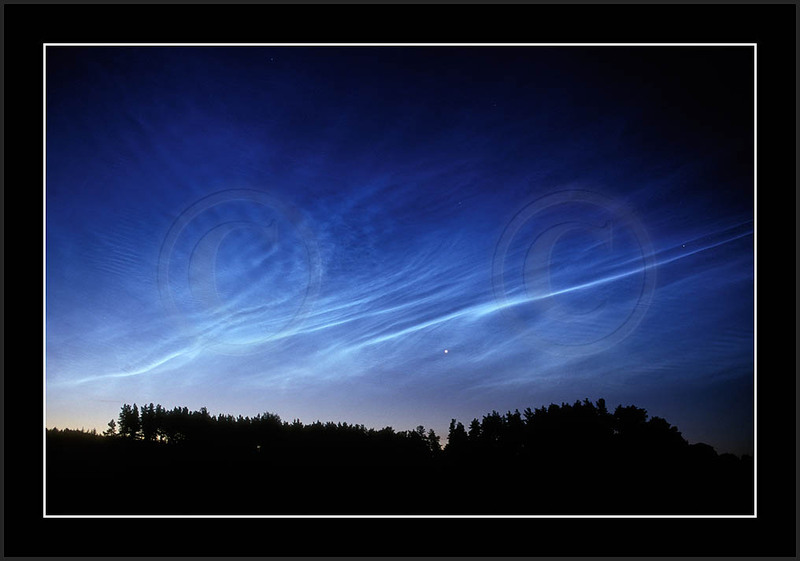 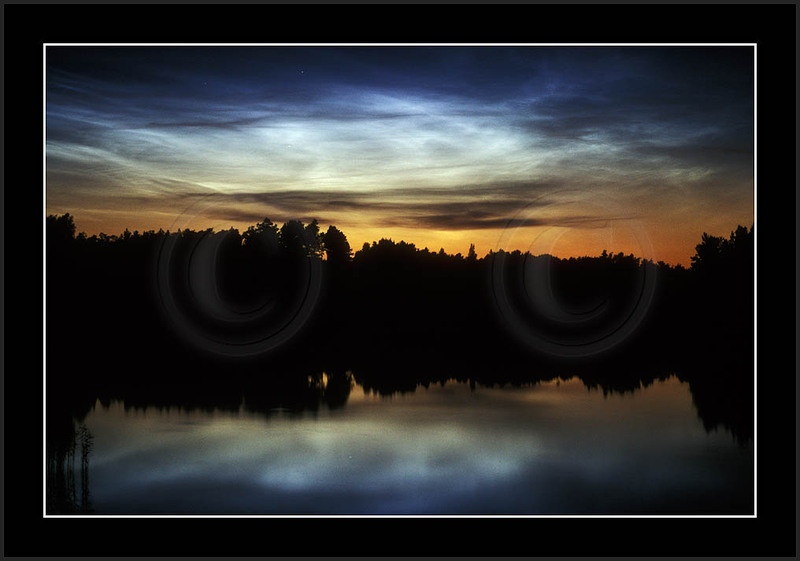 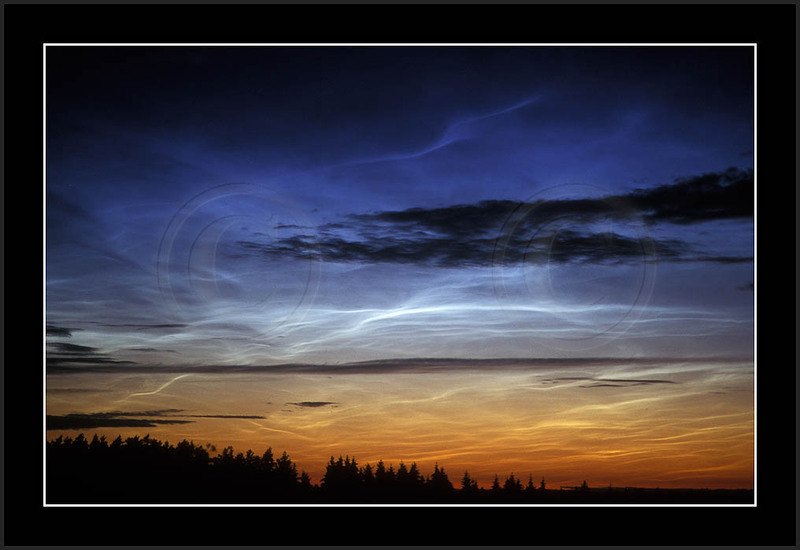 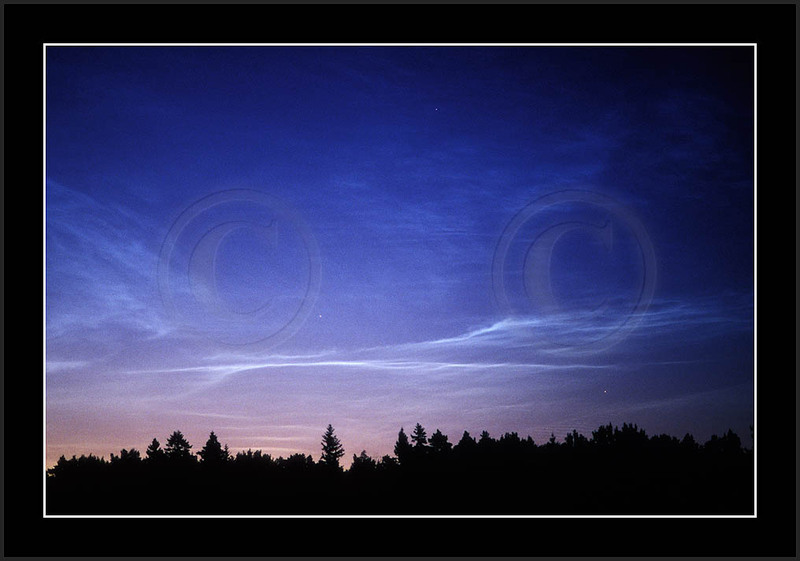 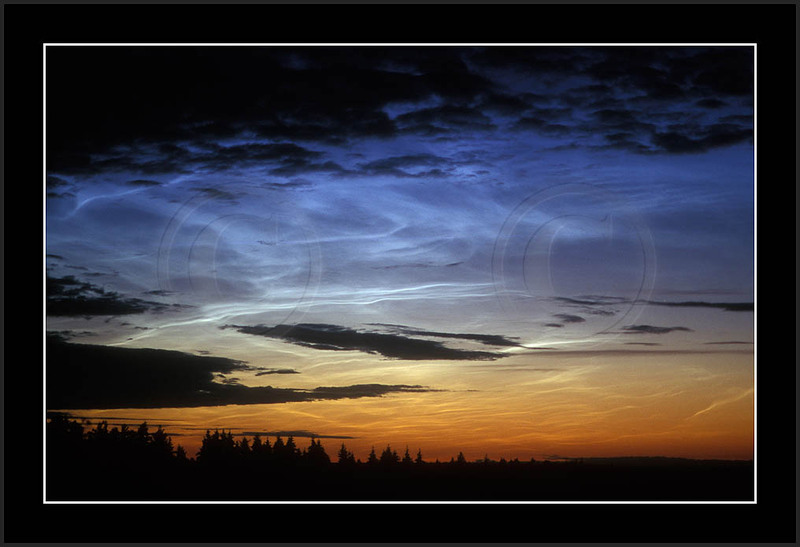 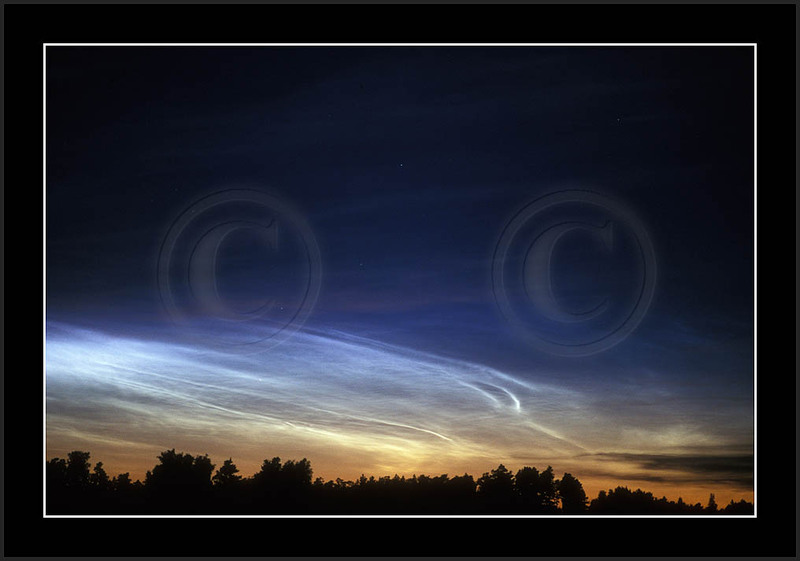 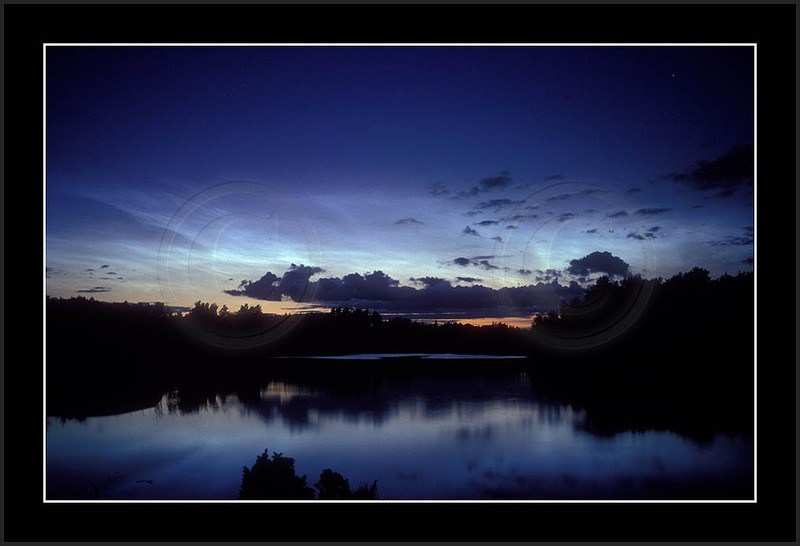 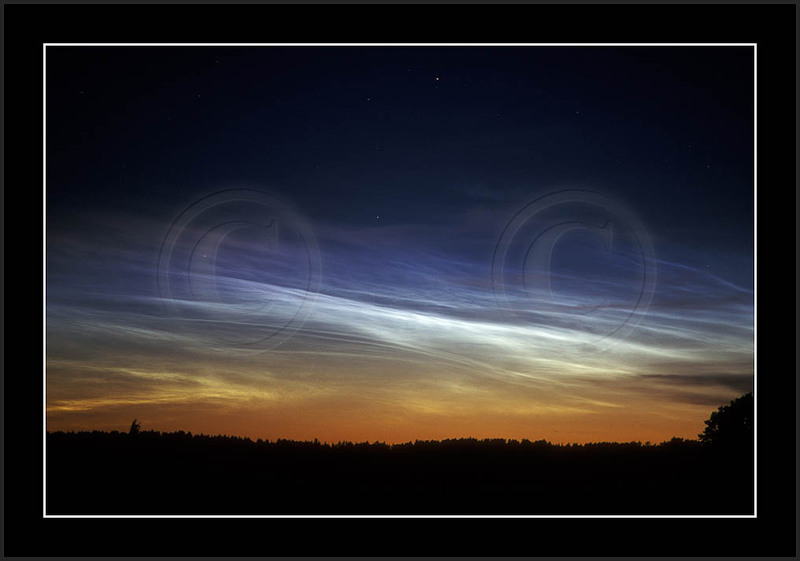 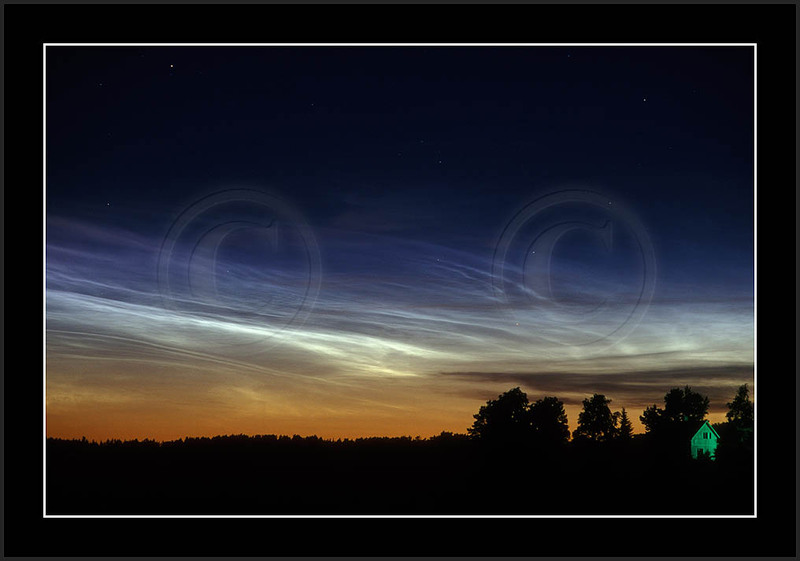 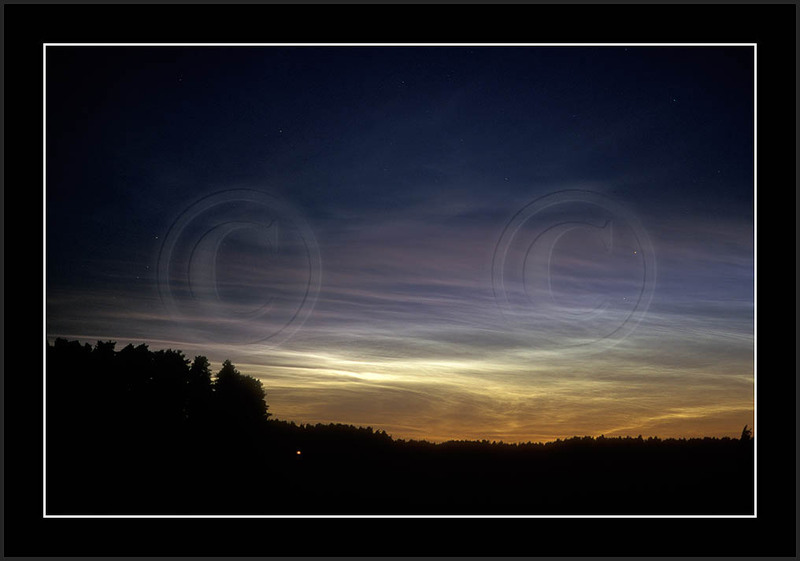 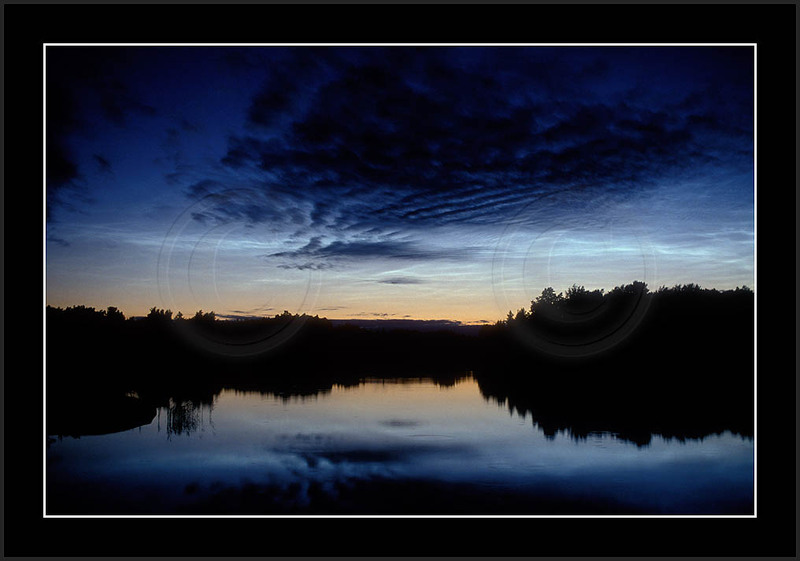 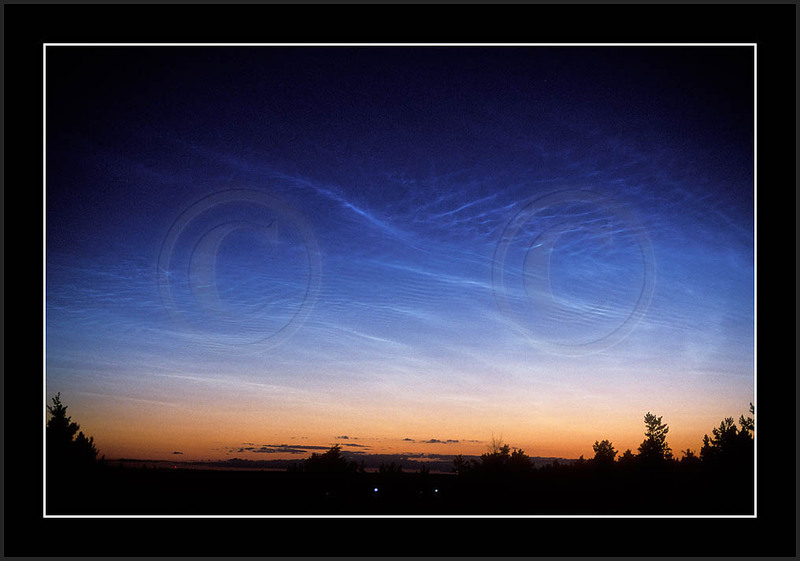 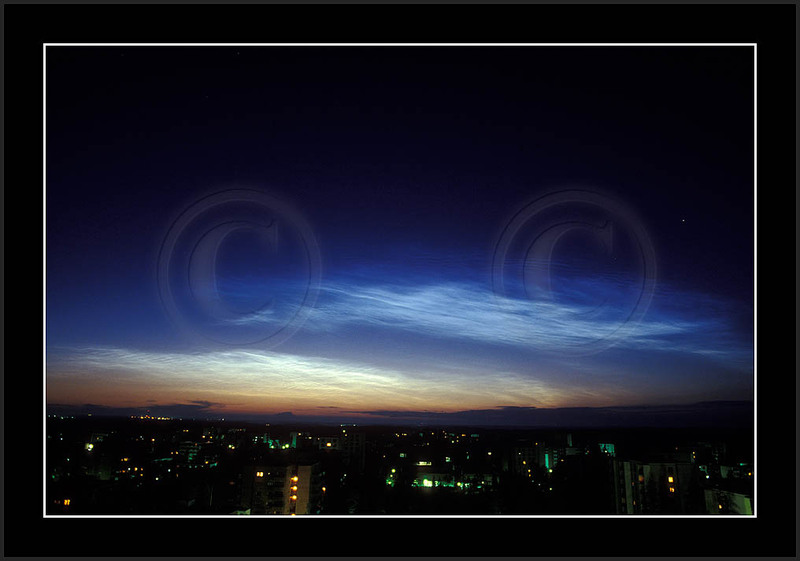 If there are NLC, they become visible in an hour or so after sunset and can remain in the sky 'til sunrise. 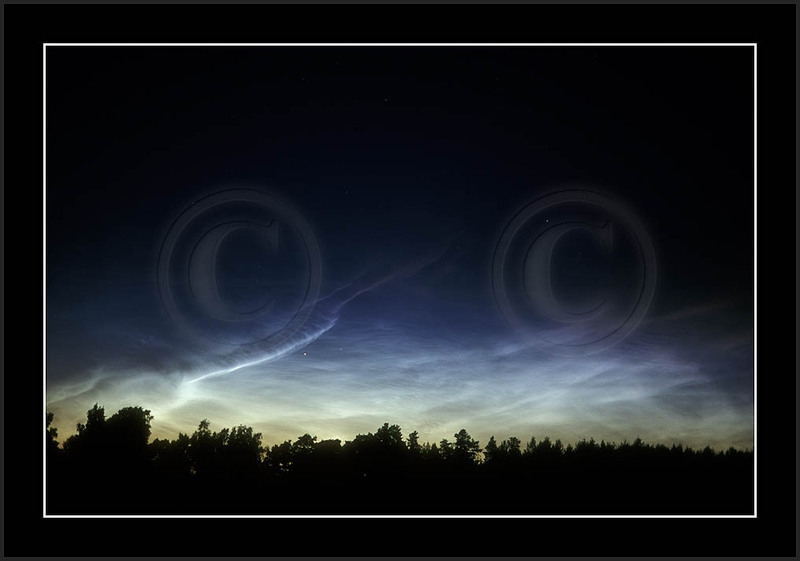 NLC can give a pretty dynamic display or just a short lived faint veil sometimes during dark hours. 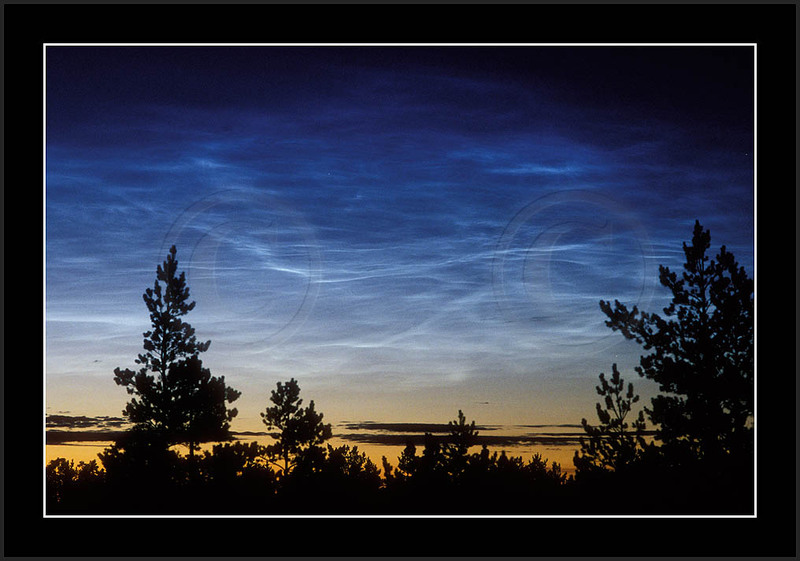 There is no way to predict them in advance nor do their possible sighting correlate in any way with previous night's sighting. 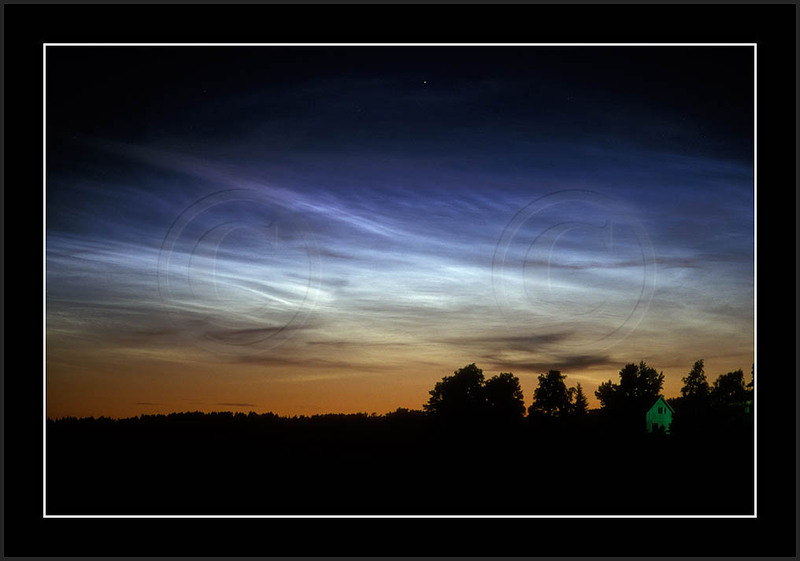 They are mysterious and the only way to see them is to stay awake all clear nights between July 1st - August 15th! 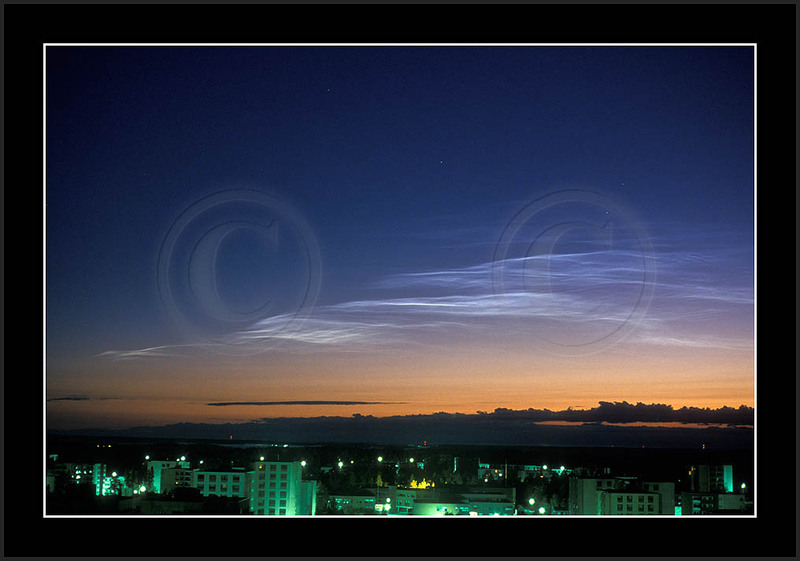 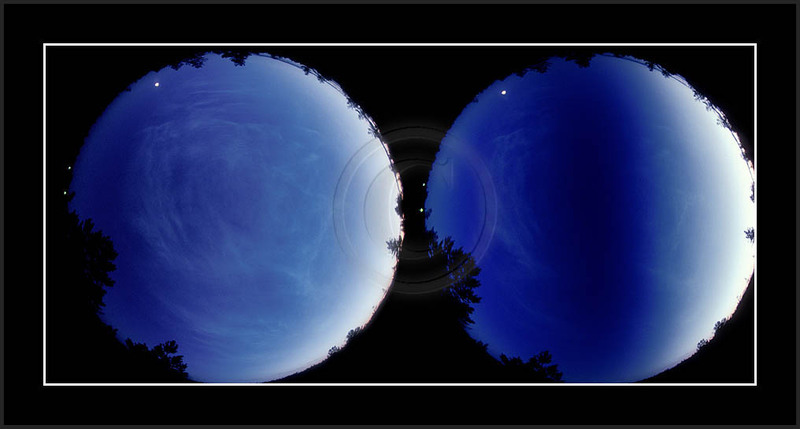 The double image shows, how in some cases polarizator can be used to identify NLC. 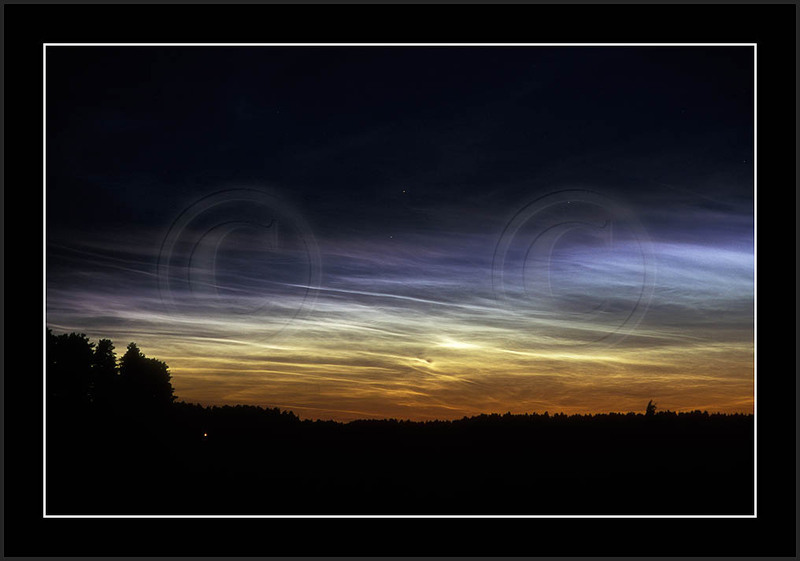 When pol-filter is rotated and (light summer) sky becomes darker (in certain direction), then if also clouds disappear or become fainter in that same direction then they are NLCs. 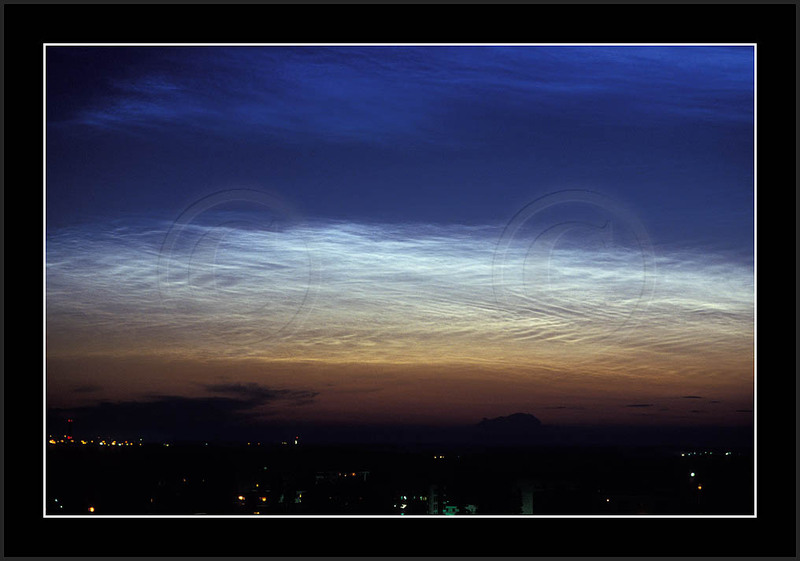 If the clouds remain unchanged or become more conspicious, they are ordinary stratospheric clouds.